Kevin Fitzgerald of Cold War Patriots speaks to a crowd of former a-pant workers Tuesday morning. The Welcome Center in Portsmouth was host to a Town Hall meeting with Professional Case Management and former workers of the now defunct Portsmouth Gaseous Diffusion Plant. Representatives from Professional Case Managements and its subsidiary, Cold War Patriots, met with current and former workers of the Portsmouth Gaseous Diffusion Plant Tuesday, outlining the company’s programs as well as a lawsuit it has filed on behalf of workers with the Department of Labor. Kevin Fitzgerald, of Cold War Patriots, told the crowd gathered at the Welcome Center in Portsmouth that proposed rule changes could negatively impact the workers when trying to obtain benefits due them. He said the rule changes will require all workers to undergo a 36 step process, in which health care professionals are not permitted to help, creating a 60 day delay in benefits. Fitzgerald told those in attendance to email the Secretary of Labor Rene Alexander Ocosta and let him know the proposed changes are bad for the nuclear workers. He said emailing is now more effective than by phone, but said if emailing isn’t possible, then call Ocosta on the matter. The U.S. Department of Labor (DOL) is being sued over rule changes that govern a program designed to help hundreds of thousands of workers who were unknowingly exposed to radiation and other toxic substances while working at nuclear facilities and uranium mines across the country from the Manhattan Project through the Cold War to today. The Manhattan Project was a research and development program during World War II that produced the first nuclear weapons. This suit seeks to prevent the U.S. DOL from implementing changes to the rules governing the Energy Employees Occupational Illness Compensation Program (EEOICP) and instead work collaboratively with stakeholders in good faith to establish appropriate regulations to ensure that seriously ill patients receive the medical treatment they have earned. The EEOICP was established by Congress to ensure that workers who sacrificed their health to protect the country would receive the medical care they need in an efficient and timely manner. The rule changes are scheduled to take effect on April 9, 2019. The lawsuit was filed by Professional Case Management (PCM), the first and largest provider of home health care services to nuclear defense and uranium workers. The suit alleges that the rule changes, which include a new, onerous and time-consuming pre-authorization process for home health care, would make it much more difficult for patients to access the care they need in a timely way. Many of the people eligible for these benefits are in their 70s and 80s and are gravely ill from exposure to radiation and other toxins that occurred decades ago while they were working on our nation’s nuclear defense. Among PCM’s many concerns about the rule changes is a 36-step process that must be followed in order to receive pre-authorization. To make matters worse, the new process prevents health care professionals from helping their patients with submitting the necessary paperwork. Instead, sick, elderly workers must themselves fill out and navigate various forms to ensure medical and regulatory accuracy, and then mail the forms to the appropriate addressees. The DOL published its proposed rules in November 2015, opening a 60-day public comment period over the holiday season and offering only one stakeholder listening session which excluded medical providers. PCM and many other stakeholders advocating on behalf of nuclear and uranium workers sought and received an extension to the comment period. This led to nearly 500 comments from workers, worker advocates, physicians, and the Advisory Board on Toxic Substance and Worker Health. The Advisory Board was established with bipartisan support in Congress and signed into law by the President to advise DOL on how to improve the program. Most of the commenters objected to the proposed rule changes, but their comments were largely ignored. PCM has posted information about the rule changes on the website of Cold War Patriots (CWP). CWP, a division of PCM, is a community resource and advocacy membership organization to help nuclear defense and uranium workers and their families get the recognition, compensation and health care they have earned. Visit coldwarpatriots.org/DOLchange for more information. Patients affected by the rule changes live throughout the United States, with higher concentrations in states where nuclear facilities and uranium mines were located, including Colorado, Kentucky, Nevada, New Mexico, New York, Ohio, South Carolina, Tennessee, Texas and Washington. The suit was filed in The United States District Court, District of Colorado on March 19, and can be viewed at coldwarpatriots.org/dolchange/lawsuit. Fitzgerald went on to talk to those in attendance Tuesday about the benefits workers may be entitled to if they fall ill, including up to $400,000 tax free settlement. In addition, free healthcare, including home health and pharmaceutical. Professional Case Management provides home health, including things as simple as someone coming in and doing laundry to having a registered nurse sitting with them if it is deemed necessary. Regional Director Belinda Carter said each patient will have a customized plan based on their need. She said a patient does not need to be home bound to receive their services. Fitzgerald also encouraged all former and current workers at the A-plant to get screened once every three years. He said the screening can be a life saving decision for them and is also at no cost. 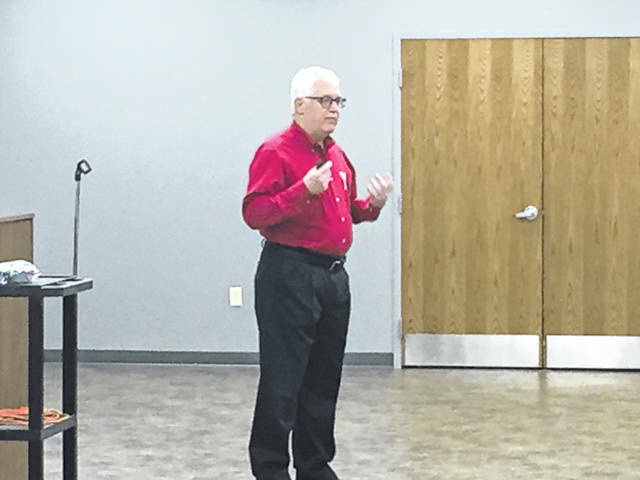 https://www.portsmouth-dailytimes.com/wp-content/uploads/sites/28/2019/04/web1_Fitzgerald.jpgKevin Fitzgerald of Cold War Patriots speaks to a crowd of former a-pant workers Tuesday morning. 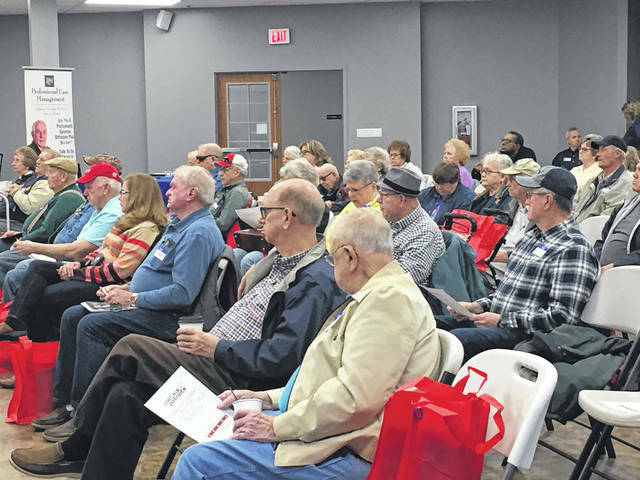 https://www.portsmouth-dailytimes.com/wp-content/uploads/sites/28/2019/04/web1_Town-Hall.jpgThe Welcome Center in Portsmouth was host to a Town Hall meeting with Professional Case Management and former workers of the now defunct Portsmouth Gaseous Diffusion Plant.